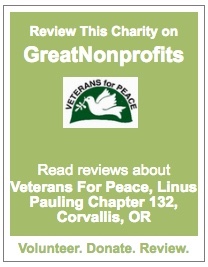 Members of Veterans For Peace, Linus Pauling Chapter recently tabled at the 2013 Interfaith Peace Walk and Fair in McMinnville, Oregon, hosted by the Interfaith Advocates for Peace with Justice (Yamhill County.) Leah Bolger also presented a talk on Drones and the Drones Quilt Project. 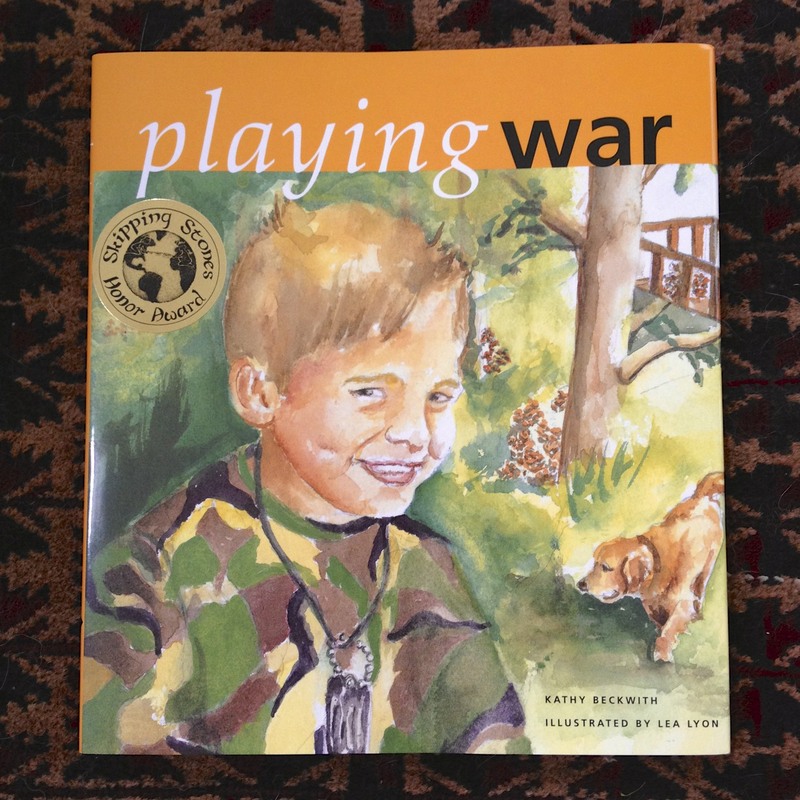 Among the other tablers was Kathy Beckwith, author of Playing War (illustrated by Lea Lyon). Kathy, according to the book jacket, “trains student mediators, volunteers as a mediation coach at schools, and works as a mediator in her community.” She was kind enough to inscribe a copy of her book for us and the Chapter is donating it to the Corvallis-Benton County Public Library. It should be available for checkout shortly. While Playing War is a book about understanding what war can be like for families, and that war is not a game, this is also a sensitive story about the power of friendship and how children can learn from one another. Here’s more info on this book at Powell’s Books in Portland. But, if you decide to order the book, please use this link from VFP national, so VFP gets a small cut on the sale. This entry was posted in Human War Toll, Linus Pauling Chapter Actions, Peace Activism and tagged children, childrens books, interfaith advocates for peace and justice, kathy beckwith, leah lyon, library, mcminnville, peace fair, peace walk, playing war, war. Bookmark the permalink.